Economic data from France and Germany such as GDP Growth Rate and GfK Consumer Confidence do not seem strong enough to support EUR. The support rests at 1.14310 with resistance at 1.14600 which both lines are above the weekly pivot point at 1.13710. The EMA of 10 is moving with bullish bias in the ascendant channel and it is above the EMA 100 and the EMA of 200. 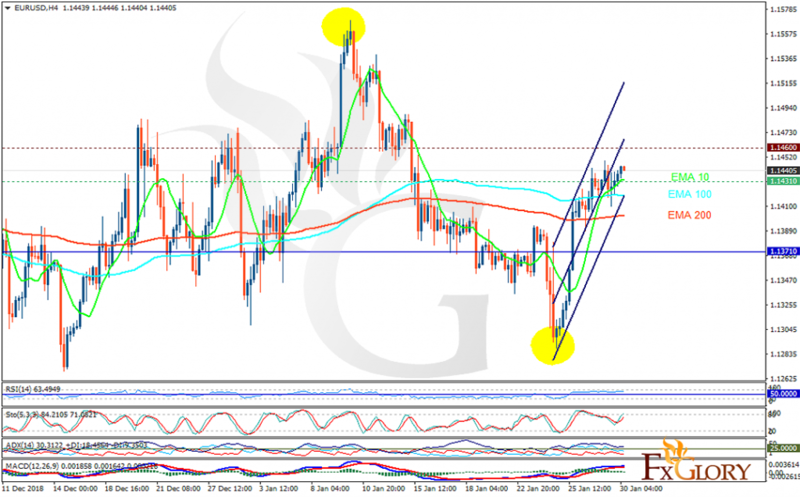 The RSI is moving above the 50 level and the Stochastic is showing upward momentum. The MACD line is above the signal line in the positive territory. The ADX is showing buy signal. The price may grow towards the resistance area and the breakout could push the price up towards 1.148.